A help in understanding important key words. The index shows the word and the Bible verse to find that word. Nine groups of articles, each representing a general category of spiritual truth and life in God’s Kingdom. 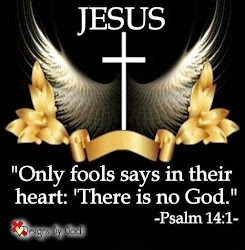 The groups are, Spiritual Foundations, Prayer Power, Personal Growth, Spiritual Empowerment, Spiritual Unity, Spiritual Leadership, Stewardship of Life and Resources, Supernatural Ministry and In-Depth articles. The truths-in-action sections will help apply the Bible’s great truths. 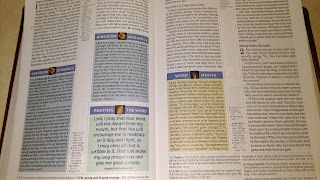 These sections are at the end of books of the Bible as a study help to summarize the teaching of that book or section. Throughout this Bible are prayers adapted from verses or passages with hope that the prayers will bear fruit in your prayer life. 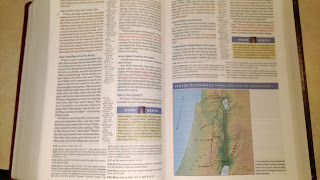 Indexes of the charts and in-text maps to help you find certain chart or map fast when you are studying the bible. Each book as an introduction pages with information of author, date and content, you also get an outline of each book. You have study notes on each page to help explain that verse. 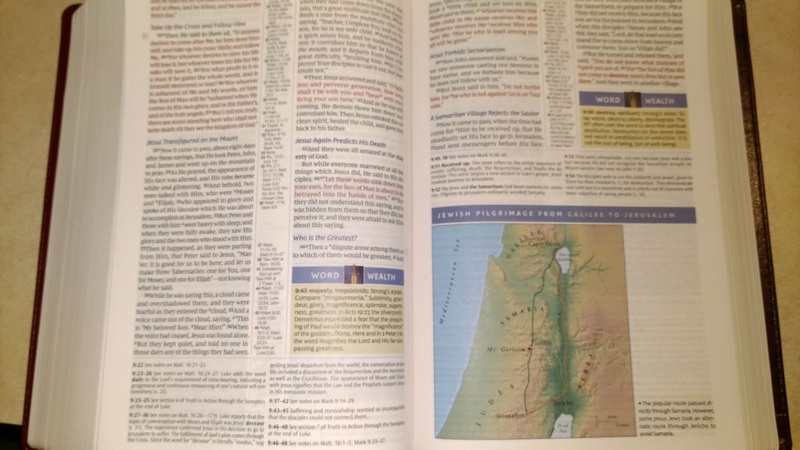 This Bible is in the NKJV translation with words of Christ in red letters. The copy I had for this review was a leather soft binding in Burgundy, it does come in other binding. 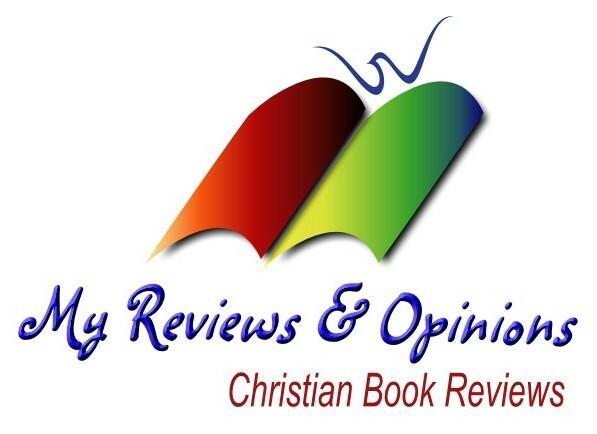 I think it is worth checking out and worth adding to your library, it can be a great help. 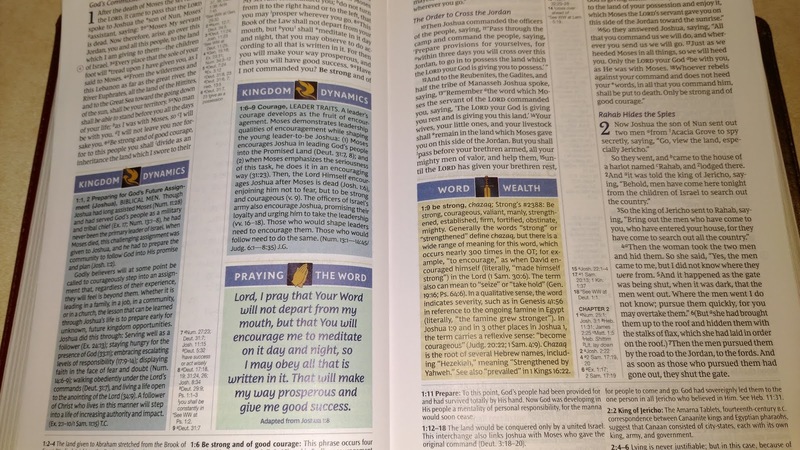 When you get a copy of this Bible, study the introduction pages, they cover all information in detail and how to use it for the best results of a great Bible study.